An important achievement of the UNFCCC meeting in Paris was that for the first time all countries, including developing countries, submitted the actions they proposed to take to reduce emissions in the form of Intended Nationally Determined Contributions (INDCs). India participated actively in the negotiations and its INDCs include a reduction in the emissions intensity of GDP by 33 to 35 percent from 2005 levels by 2030 and an increase in non-fossil-fuel-based electricity capacity from 12% percent of total capacity in 2014-15 to 40 percent. This change in the position of developing countries reflects a growing realisation of the dangers of inaction and also of the scope for combining growth and poverty reduction on the one hand with emissions reduction on the other, with important co-benefits in terms of reduced pollution costs. However, what has been promised in the INDCs will not be enough to achieve the stated climate change goal of limiting global warming to well below 2° C of the preindustrial levels. Much stronger action will be needed in the years ahead and the industrialised countries have a major role in this process both in terms of stronger commitments to reduce their own emission levels and provide financial assistance to the developing countries to make the large investments needed to achieve effective mitigation. This lecture will compare two alternative energy trajectories for India. One, which is called a business-as-usual (BAU) scenario, is based on some improvement in various energy use indicators. An alternative is a low energy use alternative which is based on strong action in a number of areas to reduce energy demands given a desirable GDP growth path combined with steps to promote greener energy. The speakers will assess the feasibility of the low energy path in terms of the various policy changes needed to make it a reality. Montek Singh Ahluwalia is the former Deputy Chairman of the Planning Commission of the Republic of India. 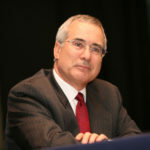 Professor Lord Nicholas Stern is the IG Patel Professor of Economics and Government, Director of the India Observatory and Chairman of the Grantham Research Institute on Climate Change and the Environment. This event is free and open to all but pre-registration through Eventbrite is required to attend. Please direct any queries to india.observatory@lse.ac.uk or call 020 7955 7615.